FTS is a fully licensed Electrical Contractor with licensed Master and Journeyman electricians to fulfill all of your project needs. 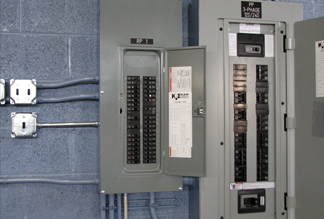 Our service-call electricians are courteous and neat in appearance. As experienced service professionals, we understand the need for our client's customers to be able to go about their business unencumbered by our technician's presence. We give high priority to allowing the business of shopping, dining, consulting and meeting to occur safely, with a minimum of disturbance. Respond to 24 hour Emergency calls rapidly with well-trained electricians trained in troubleshooting electrical problems quickly and safely. FTS, Inc. has very competitive rates that allow our customers to get more for their investment. We take pride on having no shut downs, no lost time of production, and all tools installed as scheduled.